Federation, which applies to houses built around the time of Australia’s Federation (1901) and up to about 1914, was a period of great inventiveness in domestic architecture; many influences were abroad – Queen Anne, Art Noveau, Edwardian, Shingle style, Arts and Crafts — and these combined with a genuine attempt to find a style suited to Australian conditions. Some of the best examples of Federation architecture in Hunter’s Hill are houses designed by Henry E. Budden. Henry E. Budden was a gifted and radical young architect who lived in Hunter’s Hill from 1892 to 1910 and was known locallv as Harry Budden. 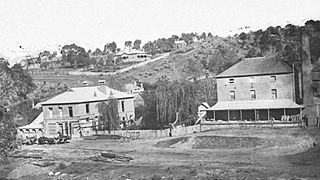 Henry was born in 1811 at Rockley, near Bathurst, and educated at the Bathurst Superior Public School and Newington College, Sydney. ln 1892 he came to Hunter’s Hill when his father, Arthur Budden, bought Moocooboolah (65 Alexandra Street) from Sydney S. Thomas. Mr. Thomas had built a new house next door, Orroroo (59 Alexandra Street), and he and his familv moved into Orroroo when the Buddens took over Moocooboolah. 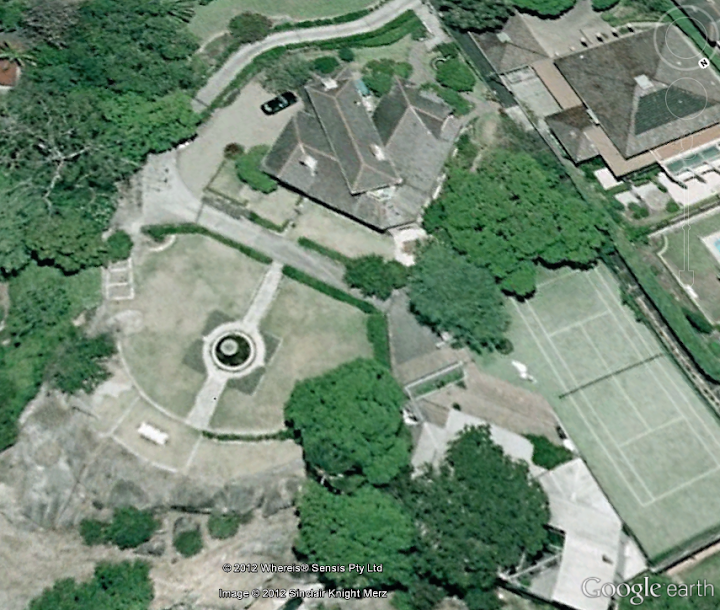 At that time, there was only a grass tennis court between the two houses, which no doubt both families used. Miss Ada Budden used the billiard room of Orroroo as an extra classroom for her School; Henry Budden was later to marry Miss Ella Thomas. 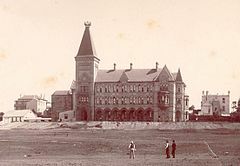 ln 1894, while he was articled to Harry Kent of Sydney, Henry Budden won the John SulmanTravelling Scholarship from the Sydney Architectural Association, his prize drawings being of the University of Sydney and All Saints’ Church, Hunter’s Hill. The drawings were reproduced in The Australasian Builder & Contractors’ News (ABCN), March 3,1894,107, and he was described as “a conscientious and painstaking student”. After he won the Travelling Scholarship and studied in Europe, Budden attended the Royal Academy in London and became an associate by examination of the Royal Institute of British Architects. After he went to London, and studied at the Royal Academy, he travelled on the continent. He regularly sent back progress reports to Australia with accompanying drawings which were published. These were considered “extremely clever, and the large number sent testify to the industry of Mr. Budden, which should ensure him a prosperous career as an architect, whether he decides to practice in England or the colonies” (ABCN, Dec. 29, 1894, 267). After travelling on the Continent, he returned to England and worked in the office of Sir Aston Webb. He then crossed the Atlantic and worked in the Boston firm of Peabody & Stearns before returning to Australia via San Francisco. He did return to “the colonies”. In 1899 he came back to Moocooboolah, Alexandra Street, and also became a partner in the firm of Kent & Budden. 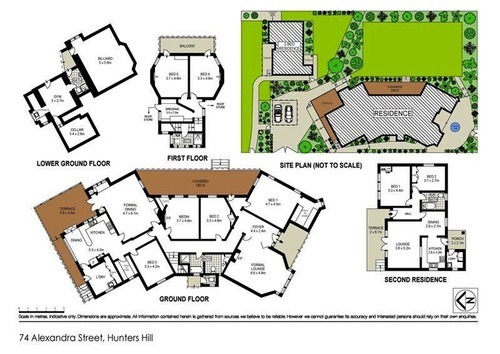 lt was from this time that he began to design houses in Hunter’s Hill. The Budden family moved to the Sydney suburb of Hunters Hill in 1892 and Henry resided there until 1910. From 1887 Arthur Budden had owned four acres of land on Woolwich Road and from 1899 he developed housing and a street known as Blake Avenue that gave access to Prince Edward Parade. In Morillah (54 Woolwich Road) we see the beginnings of the Budden style – a two-storey house with angles designed to take advantage of the northerly aspect and the Lane Cove River views; the shape is best seen from the Lane Cove River side, not from Woolwich Road. About 1903 Budden designed Kurrowah, the residence of Stephen H. Weedon, 74 Alexandra Street. Here his enthusiasm for asymmetry is pronounced, in the broken roof lines and multitude of angles; this is connected with his imaginative use of site. The house was reported and illustrated in the journal of the New South Wales lnstitute of Architects “Mr. Weedon’s house shows clever treatment of a rather difficult problem in planning, the building being so arranged that the best rooms command the best views” (Art and Architecture, 2 , 192-94). Today we can see Budden’s radical style if we compare Kurrowah with the Victorian houses opposite, 55 and 57 Alexandra Street, which seem quite conservative by comparison. 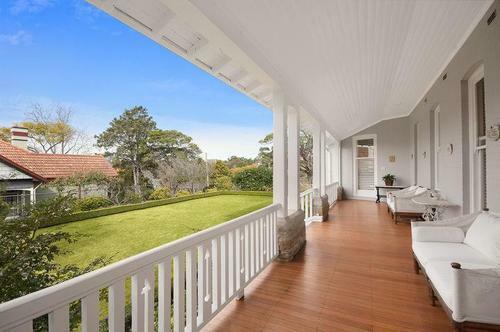 ‘Kurrowah’, a Henry Budden-designed home at 74 Alexandra Street in Hunters HIll came on the market yesterday for the first time in 30 years with a $4.5m ask. At first, it seems like an intimidating price for a home that lacks water frontage and only can stake claim to obstructed water views. 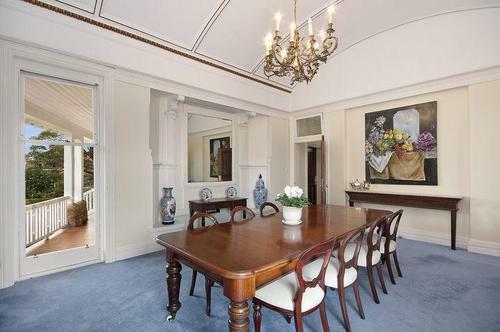 The interiors are nothing to write home about (save for an original and unique barrel vault ceiling in the dining room) and the pictures are entirely unimpressive. Weirdly, listing agent Matthew Ward of Ward Partners fails to mention the most important trait this home carries: Henry Budden. “Budden situated the home to capture northern light and impressive harbour views, views now obstructed by mature trees and recent development. The style of the home merges Craftsman (a style not then commonplace anywhere outside Southern California) and Queen Anne influences and shuns many iconic Federation-style features (ie. red brick exterior, tile roofing) then popular. 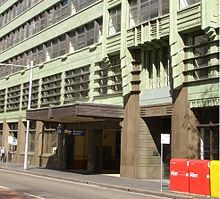 Budden’s best known designs are likely his Art Deco stylings of the David Jones building in the CBD (1927) and Railway House on York St (1936) also in the CBD. In 1906 Budden designed Mornington (16 Vernon Street) for Arthur and Ada Muddle (the house derives its name from Mrs. Muddle’s fondness for the music of Lord Mornington). This is perhaps Budden’s finest house in Hunter’s Hill. lt shows the tendency of Federation architecture to use a mixture of materials – brick, timber, shingles, rough-cast, slate, terracotta ridging, and sandstone as a rugged base. lt also shows Budden’s prediliction for angular geometric shapes, with many bays and verandahs; the present owners rightly observe that, from above, it resembles a bird with outstretched wings. The house is designed to fullest advantage of the Lane Cove River views and of the movement of the sun around the house through the day. The two unusual little windows at the top were known locally as “the eyes of the river” and were clearly visible from the ferry as it rounded the peninsula towards Mornington Wharf (named after the house, as was Mornington Reserve). The interior of the house is well planned but unusual and asymmetrical. Characteristic of the period is the Art Noveau stained glass throughout and the plaster ceiling of the lounge room with its pattern of waratahs and flannel flowers. 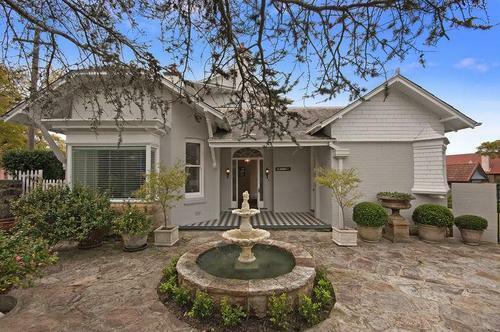 “A classic piece of Hunters Hill and Sydney history. This federation marine villa was designed and built to house the gentry of early Sydney and enjoys a majestic frontage to the Lane Cove River. “The second owners, who purchased the home in 1918, were the industrialist Meggiit family, founders of the linseed oil industry in Australia and pioneers of profit sharing in industry. “The third and current owners of Mornington have painstakingly restored and modernized the residence over the last 10 years and are offering it for lease fully furnished. Magnificent grand Federation residence built in 1913, designed by noted architect Henry Budden. With sweeping verandahs and magnificent manicured grounds, an abundance of Gosford quarry sandstone defines the setting surrounding the heated swimming pool. 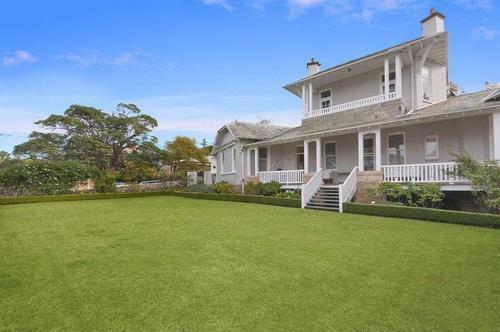 “The Wurley” is a feature home within the history of Wahroonga. Positioned on 1,950sqm (approx) of prime East Side land. Generous proportions of bedroom and living accommodation. Does anyone know of other Budden houses? In 1910 Budden moved with his family to Killara. With the outbreak of World War I he began work with the War Chest Commission; he went to Gallipoli and Egypt and became Chief War Chest Commissioner for England and France; he was also awarded the C.B.E. ln 1917 he returned to Australia and resumed his profession of architecture. His firm operated under the names of Budden & Greenwell (1919-22), Henry E. Budden (1922-31), Budden & Mackey (1931-39), Henry E. Budden (1939-41), and Budden & Nangle (1940-44). 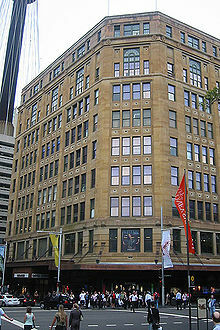 The firm of Budden, Nangle, Michael & Hudson is still in business in Sydney and retains the name of Budden for prestige. In 1931 Budden was elected President of the New South Wales Institute of Architects; this was reported, together with some biographical details, in The Architectural and Building Journal of Queensland, Apr. 10, 1031, 21-23. He was also a Fellow of the Royal British Institute of Architects. He died on December 25th,1944 – “one memorable Christmas day” in the words of his son Philip, one of his seven children.